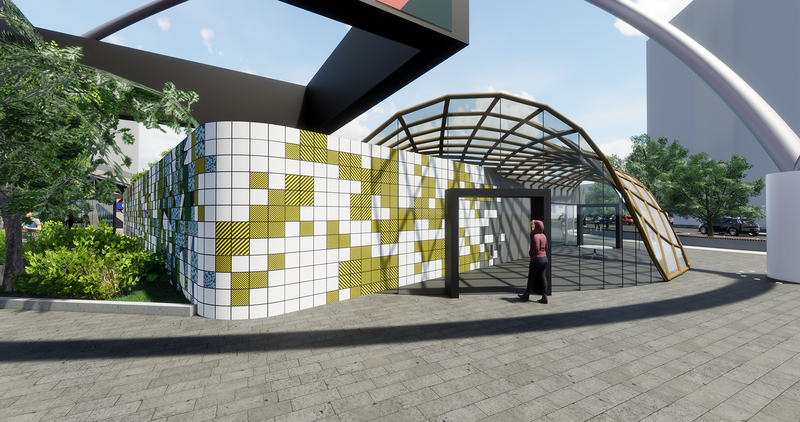 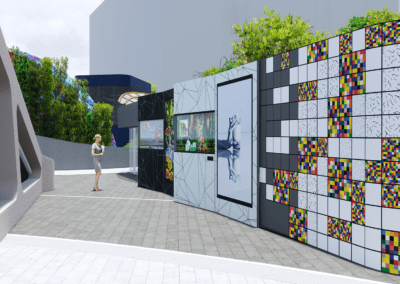 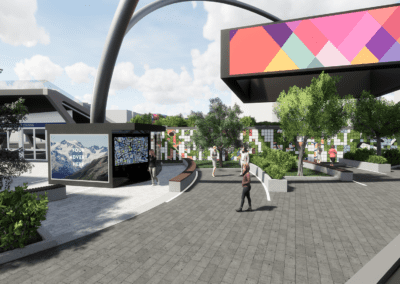 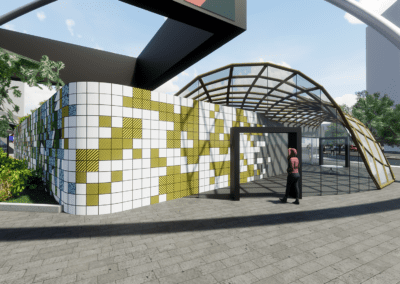 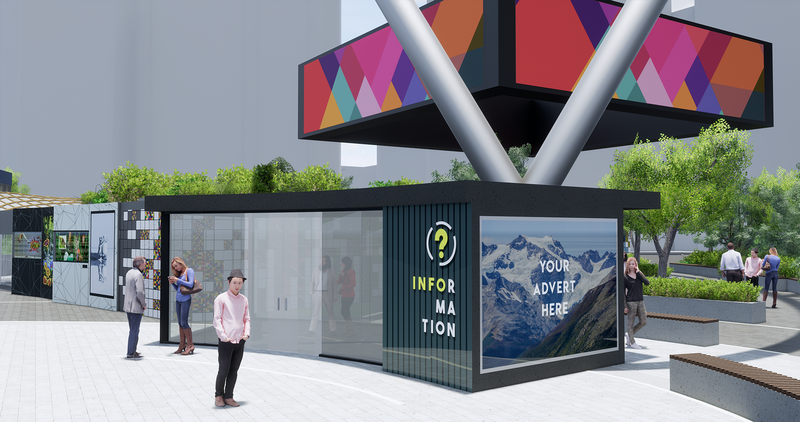 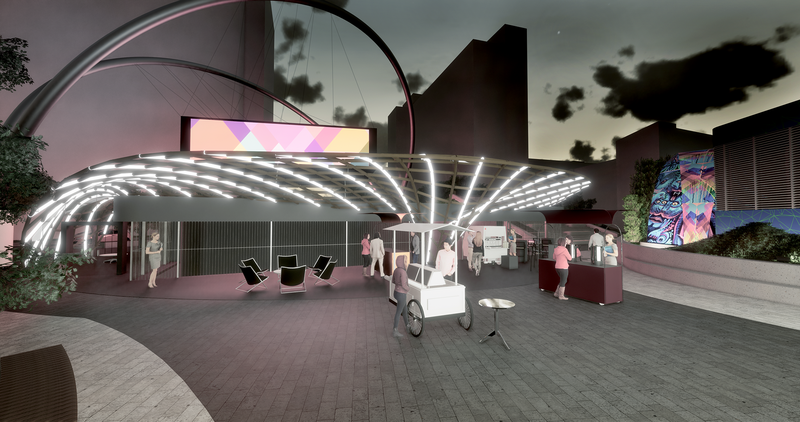 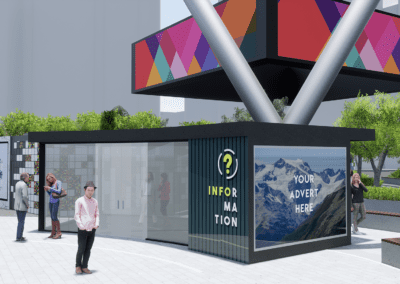 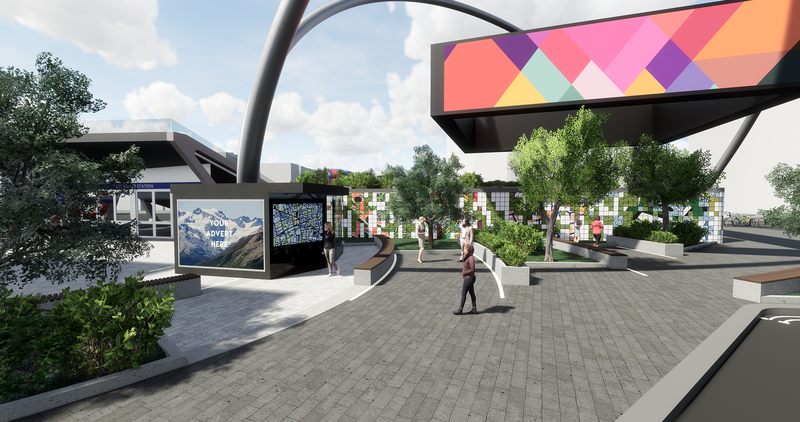 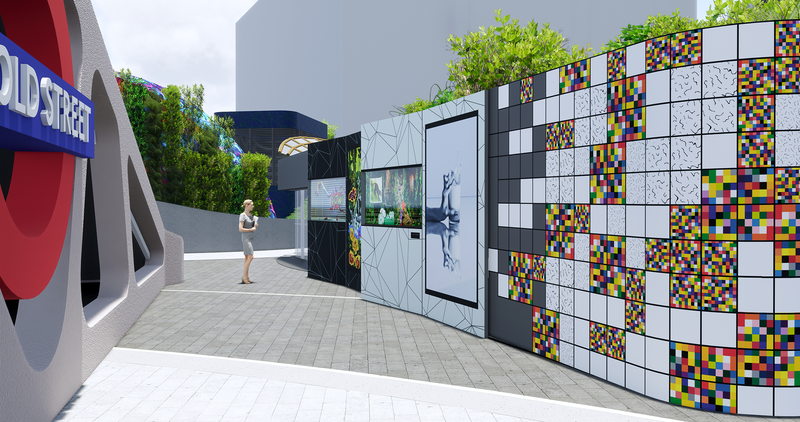 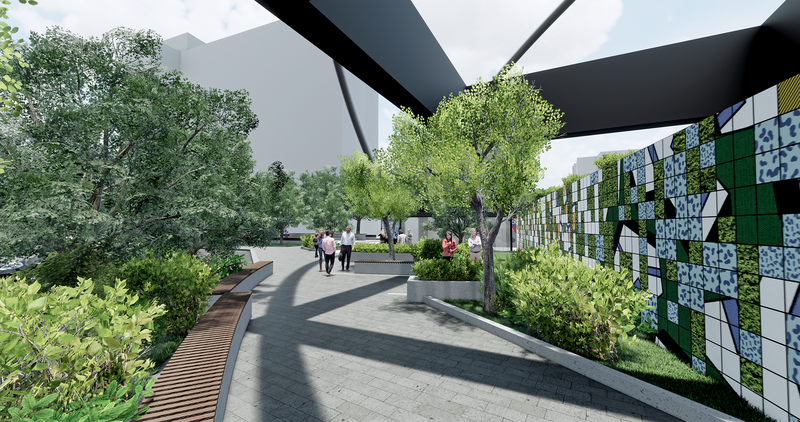 Our proposal to redesign London’s Old Street Roundabout has been longlisted for the Old Street Iconic Gateway ‘Open call for design ideas’, exhibition opening today. 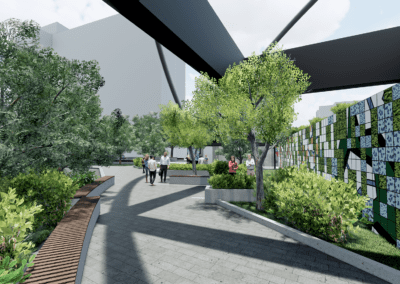 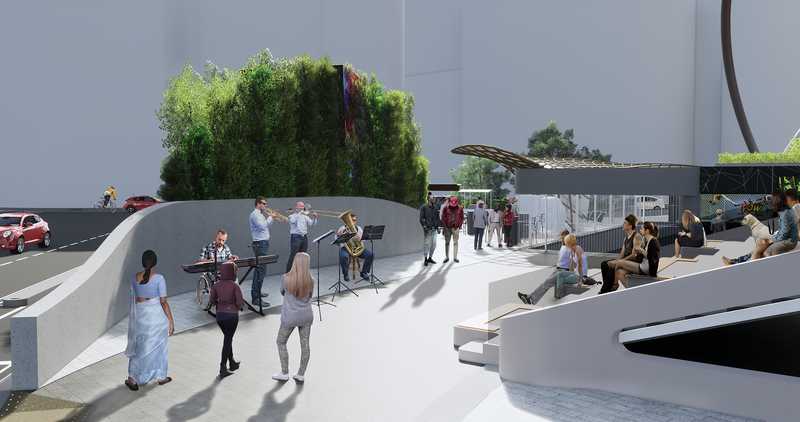 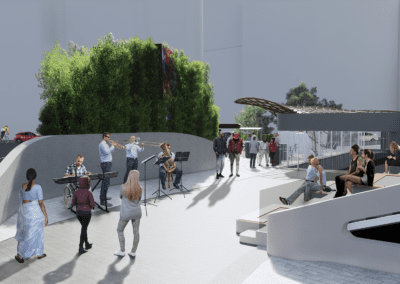 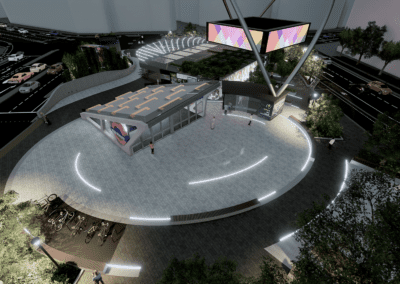 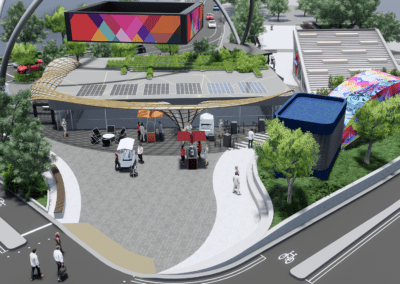 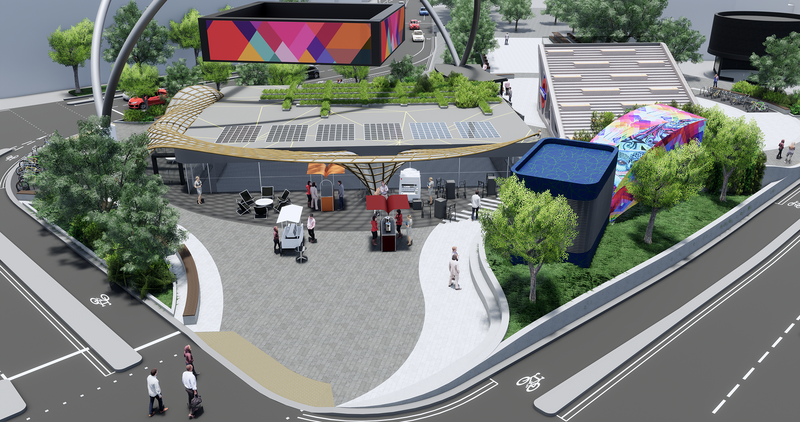 Within 20 years the whole of London will change character as the combustion engine is replaced with electric vehicles and spaces like the Old street Gateway will be remade for people to enjoy rather than simply pass through. 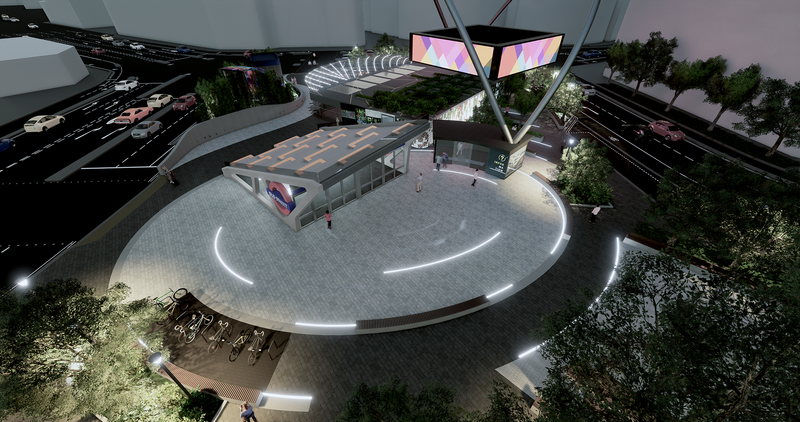 Our design proposal Nexus, reflects the curves of the dominant advertisement arch, breaking down the harsh lines of the surrounding environment and creating a Nexus where people encounter a series of spaces that create opportunities for interaction, meditation and connection throughout the day and evening, creating a point of destination, a place to pause, for those local to the area and the wider city.